" I am absolutely convinced that science is vastly more stimulating to the imagination than are the classics, but the products of this stimulus do not normally see the light because scientific men as a class are devoid of any perception of literary form. When they can express themselves we get a Butler or a Norman Douglas. Not until our poets are once more drawn from the educated classes (I speak as a scientist), will they appeal to the average man by showing him the beauty in his own life as Homer and Virgil appealed to the street urchins who scrawled their verses on the walls of Pompeii. "And if we must educate our poets and artists in science, we must educate our masters, labour and capital, in art. Personally I believe that we may have good hopes of both. 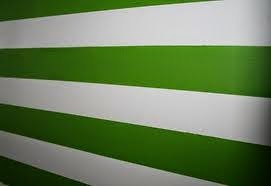 The capitalist's idea of art in industry at present tends to limit itself to painting green and white stripes on the front of his factories in certain cases. This is a primitive type of decoration, but it has, I think, the root of the matter in it. Before long someone may discover that frescoes inside a factory increase the average efficiency of the worker 1.03% and art will become a commercial proposition once more. Even now it is being discovered that artistic advertising often pays. Similarly I do not doubt that labour will come to find that it cannot live by bread (or shall we say bread and beer) alone. But it can hardly be expected to make this discovery until it is assured of its supply of bread and beer." Daedalus, or, Science and the Future, by Lord Haldane. It's ironic that you posted this Haldane quote this week. I just read the Intro and first two chapters of Vol. 6, A Philosophy of Education in which Charlotte quotes Lord Haldane saying, "Eduction is a matter of the spirit." I did a brief search of Haldane, but I'm looking for more solid information. What was his stance on education? Did he and Charlotte know each other? Did Charlotte agree with his view of education? I'm assuming they were contemporaries. Melissa, that's a great question! I do not know much about Lord Haldane (although he has an interesting Canadian legal connection), but I'll give you my opinion based on the little I've read, and if I'm wrong I hope somebody will correct me. He was very important and well known in British politics and education, and I'm sure Charlotte Mason would have known of him and read things that he said (as in the Vol. 6 quote), but I don't know of any direct connection or influence on her otherwise. I think he was probably too "Hegelian" to have been much in line with her thinking; he supported a certain type of efficiency and outward success (alluded to in the Contentious Quote) that, in my mind, aren't very CM. But I think he had the right idea, at least in this article, about art and beauty.